I love when a project turns out better than you anticipated. 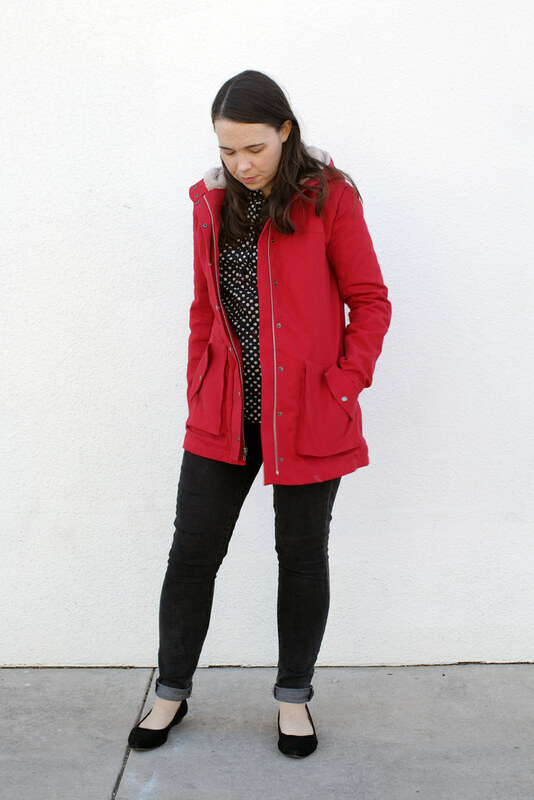 I love my new coat! 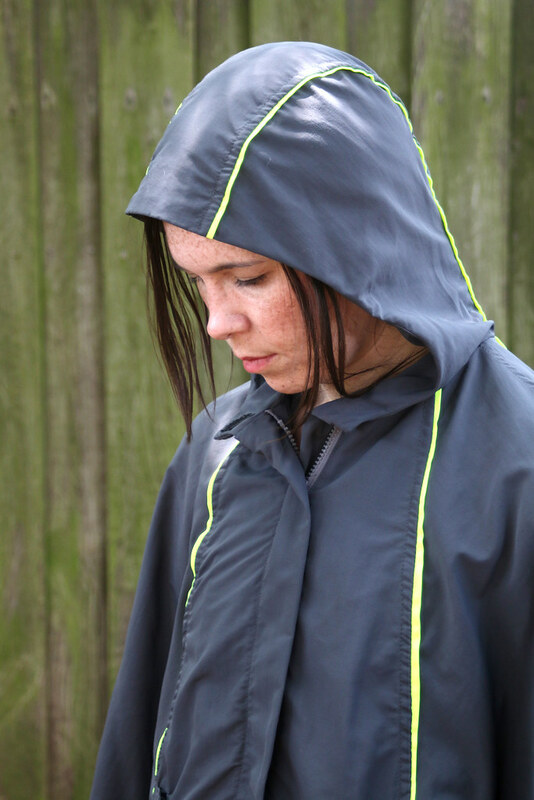 I began this version soon after I completed my first anorak in October. I liked that jacket so I knew I wanted to make it again but with changes. 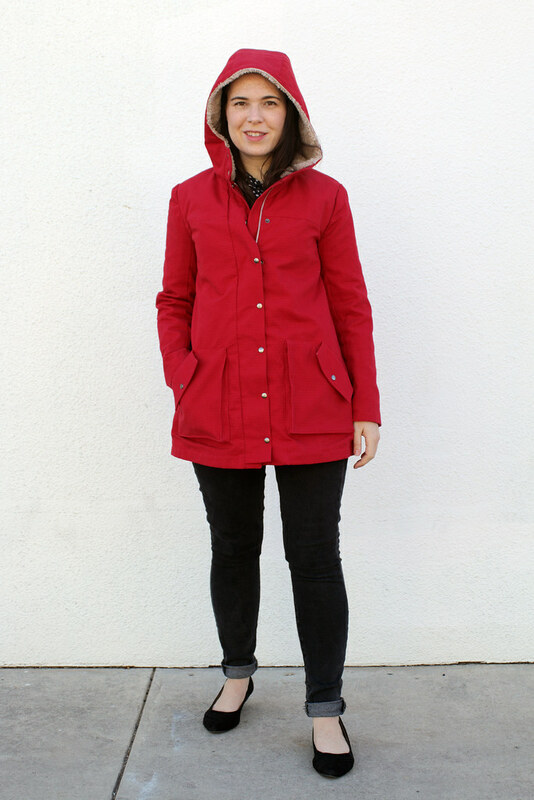 The pattern is Closet Case’s Kelly Anorak and this time I bought the lining expansion pack. 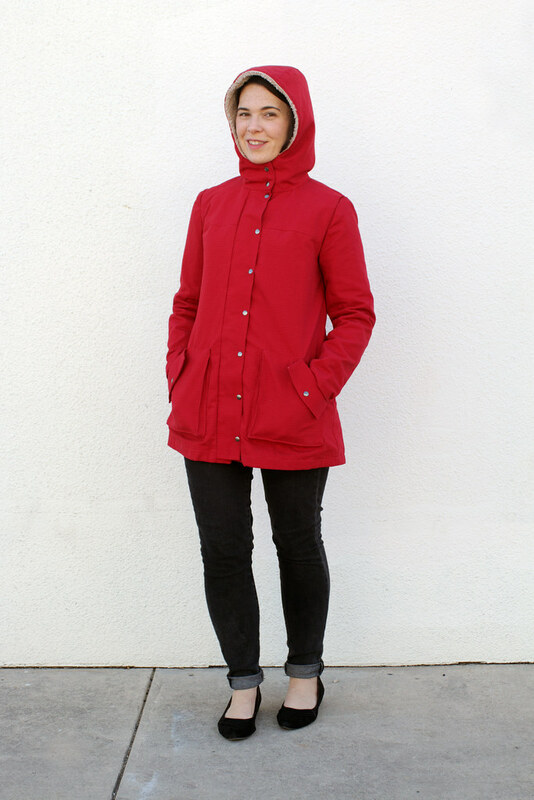 The main fabric is a ripstop cotton – the same as my last anorak but in red. The lining is a cotton flannel. It’s a subtle herringbone pattern which I thought was a fancier alternative to the traditional black and red plaid flannel you often find. The sleeves are lined in Bemberg rayon from Joann Fabrics. Hardware is from Gold Star Tool. Besides the full lining, the major difference between the initial release and the expansion are the wider sleeves without the cuffs (which worked well for me because I had to alter the original pattern’s sleeves to give my arms more wiggle room). With the new sleeves, I didn’t need to make any changes. They were big enough – even with an interlining! I make a couple extra changes to the pattern. I lined the pockets with the same flannel as the rest of the coat. Toasty hands for the win! 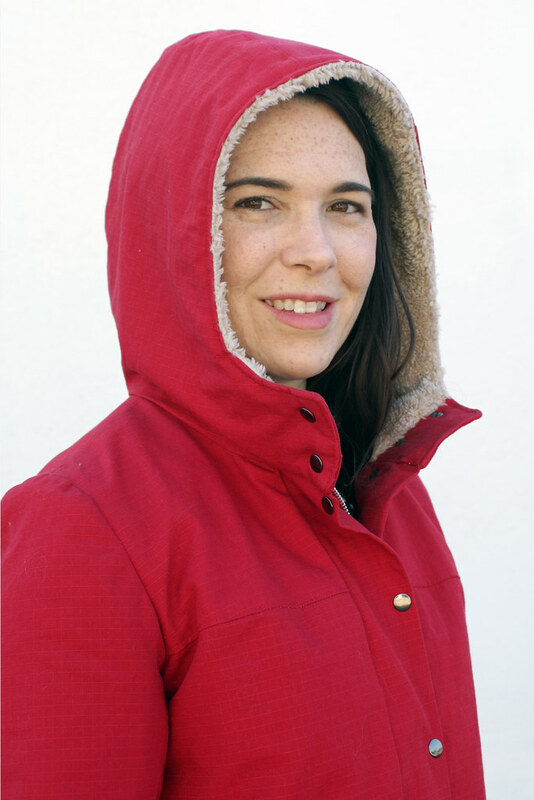 I lined the hood with shearling fabric same as I did on my last anorak. I altered my hood lining pieces, though, to accommodate the snaps. I included an interior pocket in the lining on my left side. 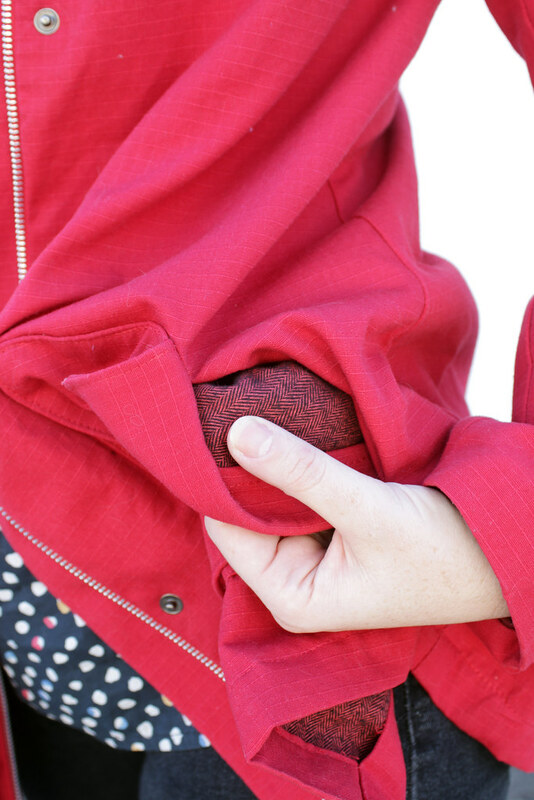 After wearing my first anorak I recognized the need for a safe pocket to hold my phone. 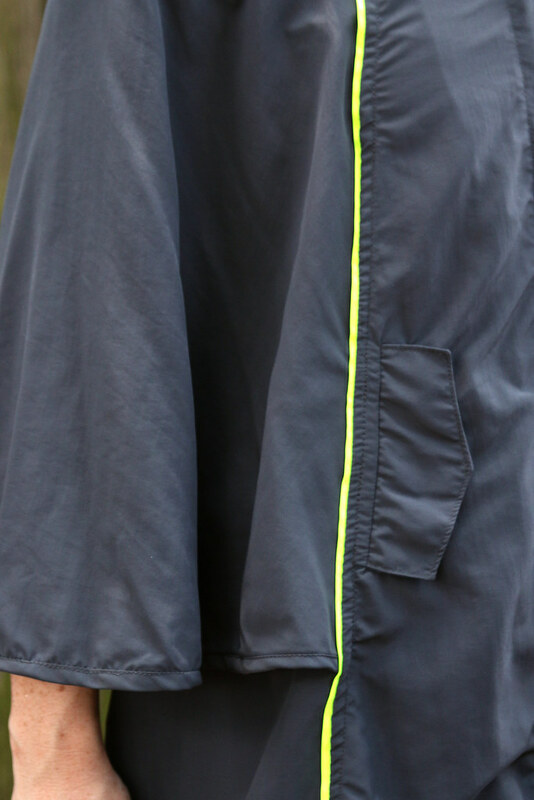 At first, I thought I’d add exterior chest pockets but after sewing the front yoke together I decided I didn’t want to bother drafting some kind of in-seam pocket and extra flaps. This pocket is the perfect size for my phone and it sits slightly lower than my bust so it doesn’t make an oddly visible bulge on the outside if my phone is in there. 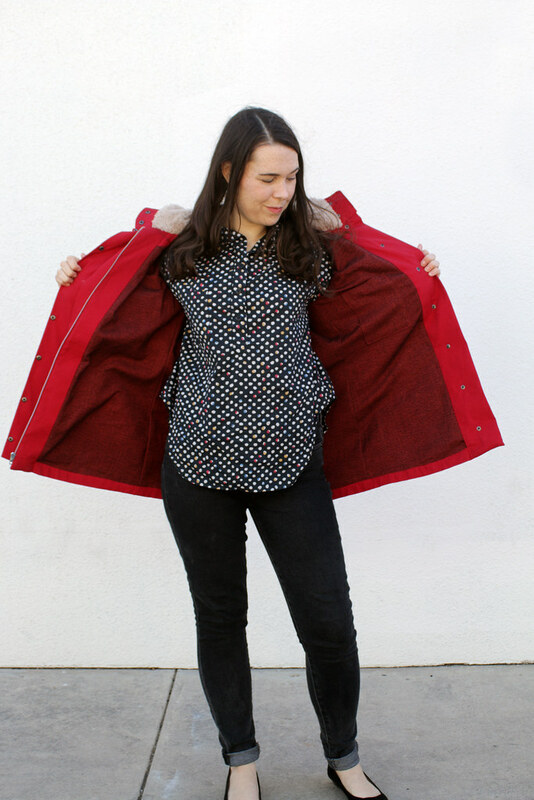 I used the flannel as an interlining for the sleeves and lined the sleeve itself with a smooth Bemberg rayon to make it easier to slip the coat on and off. And I sewed a little loop in the neckline to hang it. I didn’t bother adding that in my first version. Very glad I took the time to do it with this one. I had a much better experience with the snaps this time. I splurged and bought 100 snaps plus the correct tool which made it SO MUCH EASIER. 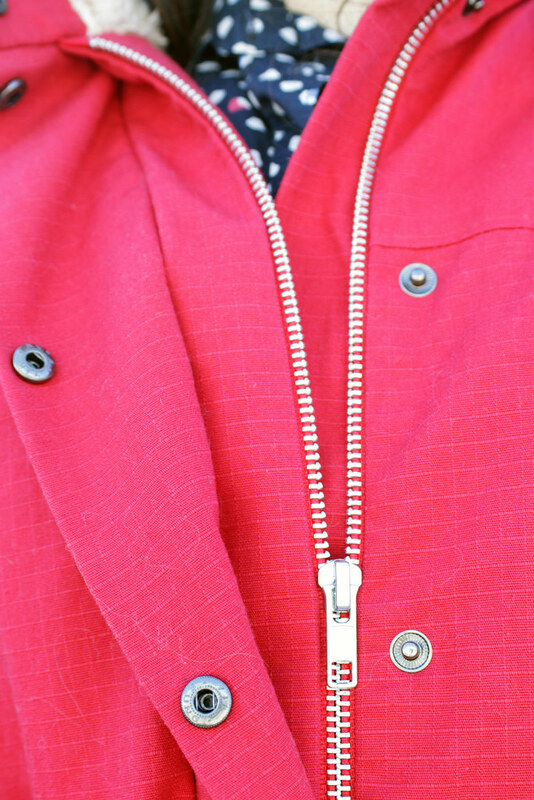 Also, because these are proper spring snaps, not ring snaps, the jacket doesn’t jingle like my last version. The snaps are a shiny gunmetal color. I couldn’t find a matching zipper tone so I just went with the plain aluminum metal. I think the lining really helped give this cotton ripstop some heft. I think the whole thing lays smoother on my body than the last jacket. Looking at the back view I wonder if I could have used a narrow back adjustment? 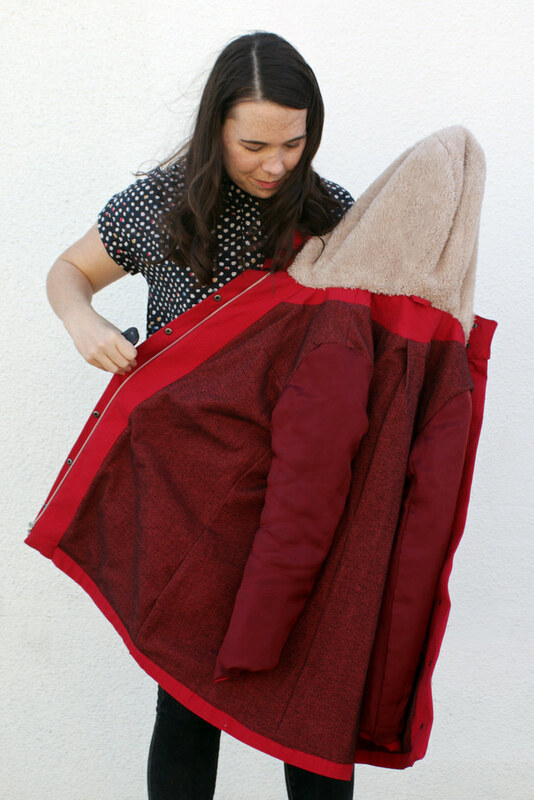 Oh, well, better too big than too small when it comes to a coat. I doubt I’d make this pattern again unless this one wears out first. 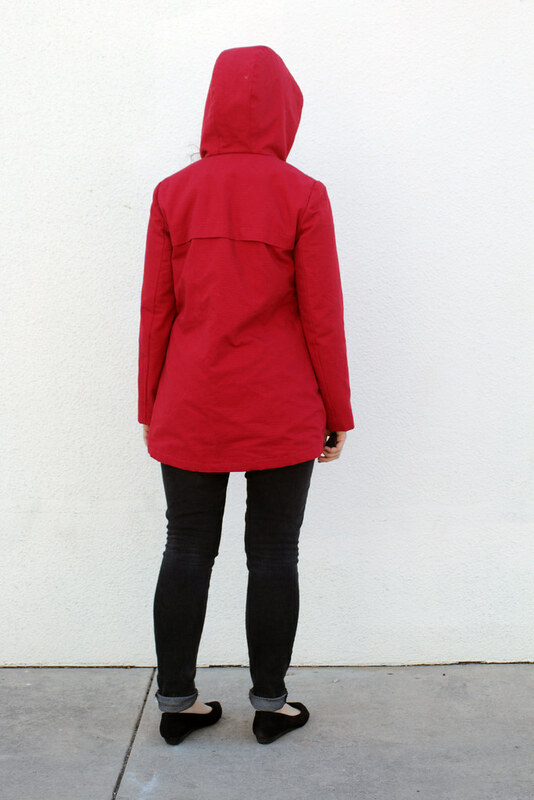 When I began cutting this pattern out I intended to have an interior waist drawstring like I did on my first anorak. But with the thick flannel, I imagined squeezing in all that fabric would make it look bulky. So far I’m enjoying it as is, sans drawstring. 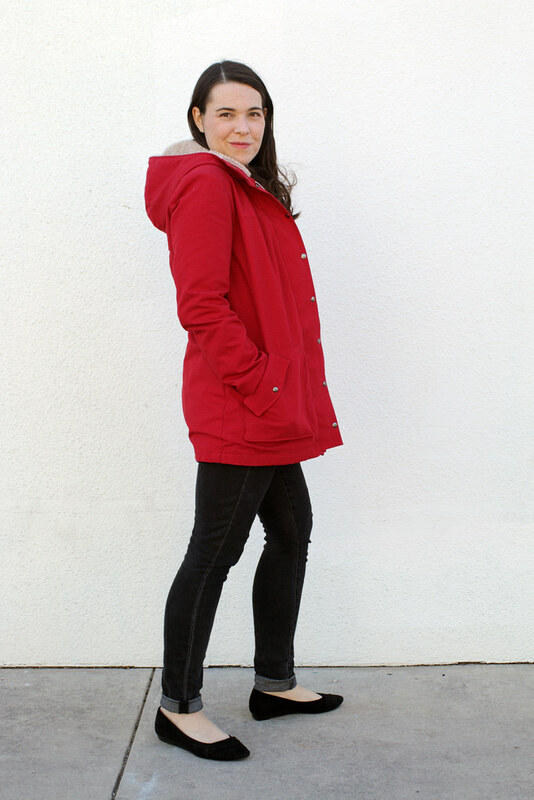 I finished this coat at the end of January – just in time for it to start getting hot again here in Texas! I’ll try to get as much wear out of it before the end of the season. This is definitely my favorite coat I’ve ever sewn! I’m back from my trip to Hot Springs National Park. Unfortunately, it didn’t rain so I never got to use my newest creation while I was there – hence we get some moldy-backyard-fence-photos of my Cypress Cape. 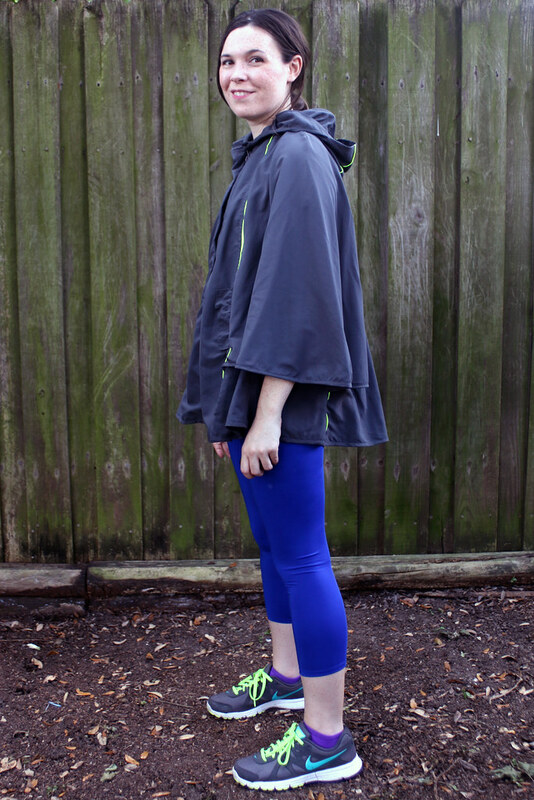 The Sewaholic Cypress Cape is essentially a gussied up rain poncho but it has some nice features that made me want to sew it – semi-circle sleeves for range of movement, those awesome back pleats, pockets, and options for fun piping in the body and hood seams. Fabric is the same as my Prefontaine Shorts – a supplex nylon in Pewter from Rockywoods.com. 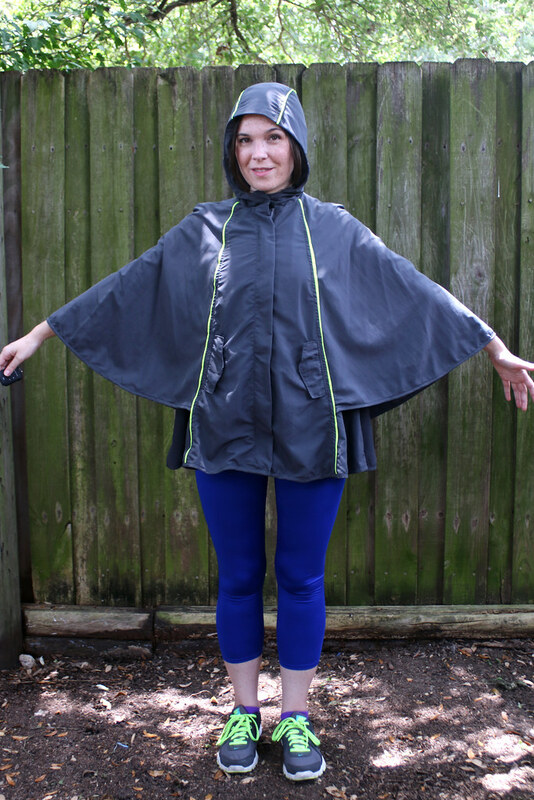 It’s the perfect fabric for this pattern – lightweight, breathable but water resistant (rain just beads up and rolls off), drapey and with a slight texture. Best of all – it’s cheap! 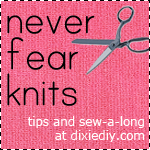 Only $6/yd which is a big deal ’cause this pattern uses FOUR YARDS. And they ain’t kidding about that amount. Yes, I had some fabric left over but those big, awkward, semi-circle pieces make cutting the fabric efficiently a challenge. You need those four yards. The flat-lined piping is some “safety yellow” from the Joann utility fabric section (it matches my shoe laces!). I made an executive decision to nix the velcro on the zipper flap. The only velcro I could find locally was black and I didn’t like the look of it exposed next to the gray fabric if I wore the cape unzipped. If it’s not windy the flap stays flat anyway and if it’s both raining and super windy out, well, I shouldn’t be running around in hurricanes, should I? My only complaints in this design are the hood and the pockets. 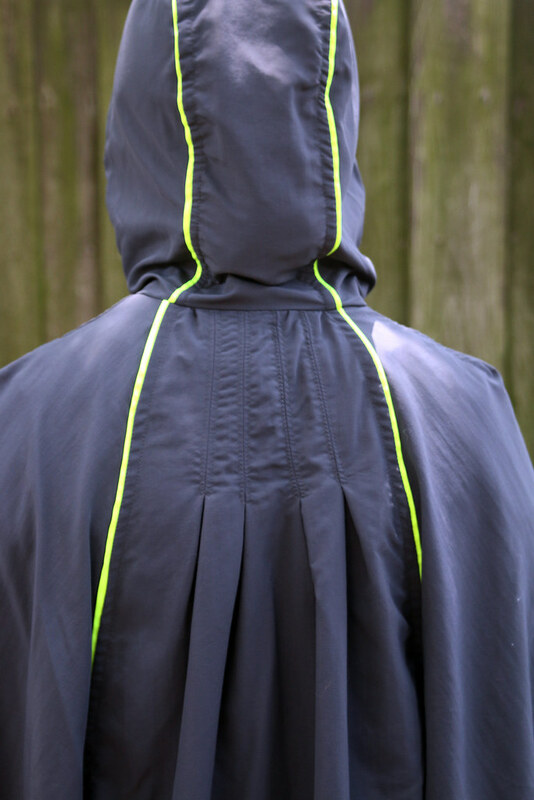 The pockets are unnecessarily fussy and the hood facing wants to flop out even though it’s understitched. This brings me to some notes I took while assembling. This pattern is labeled as “advanced” and there were some things I wish I had considered before beginning. If your fabric is very light weight, support the welt pocket opening with some stay tape when you attach the pocket bag. Better yet – skip the pockets. 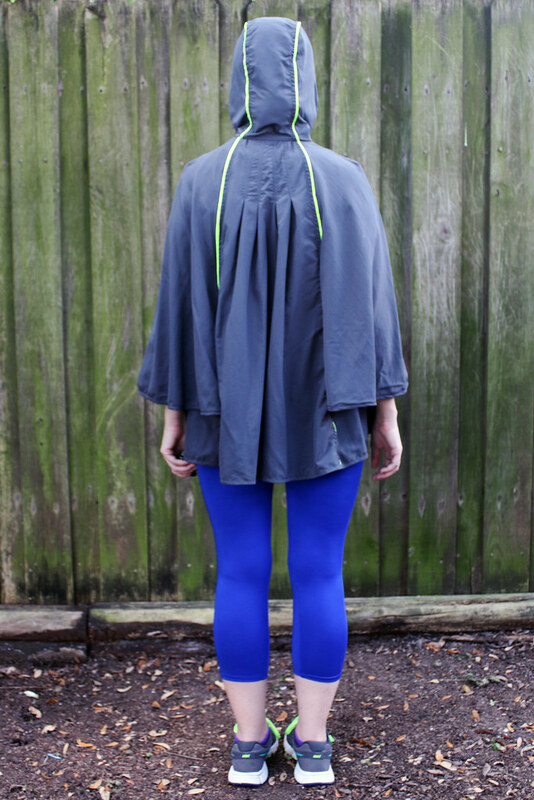 If you’re already wearing a bag or have pockets on your clothes, the cape itself is roomy enough you can just stick your mit up under the hem and reach your phone from your pants pocket. 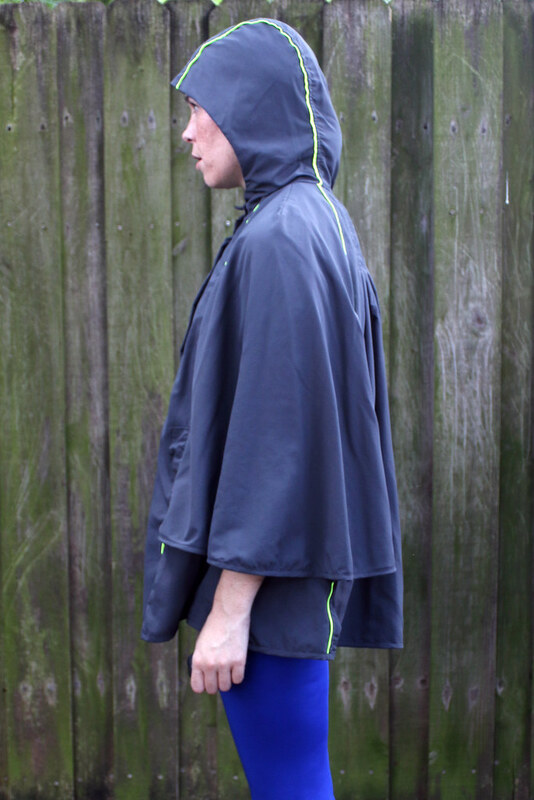 The cape looks roomy but if you know you need to make an FBA with Sewaholic patterns (as they are designed for a pear shape with an A-cup) make the FBA with this pattern, too. 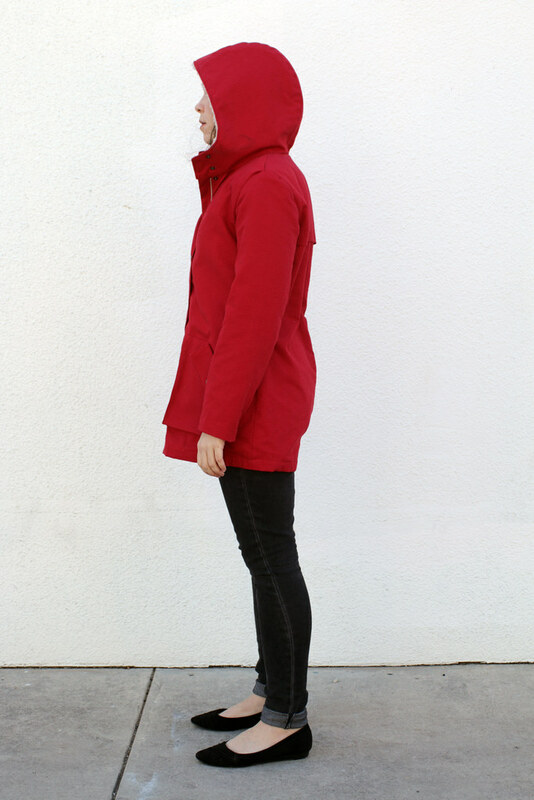 Only the back and the sleeves are roomy – the panels under the sleeves and the front sections are snug to the body. Flat fell every seam possible to help flatten those seams allowances, especially if you’re adding piping. Often times you’ll be sewing through several layers of fabric so pin carefully and check your stitching as you go, especially around the curved neckline. Tack the hood facing to the hood along the two seams at the top of the head (you can stitch in the ditch or sew along the topstitching). 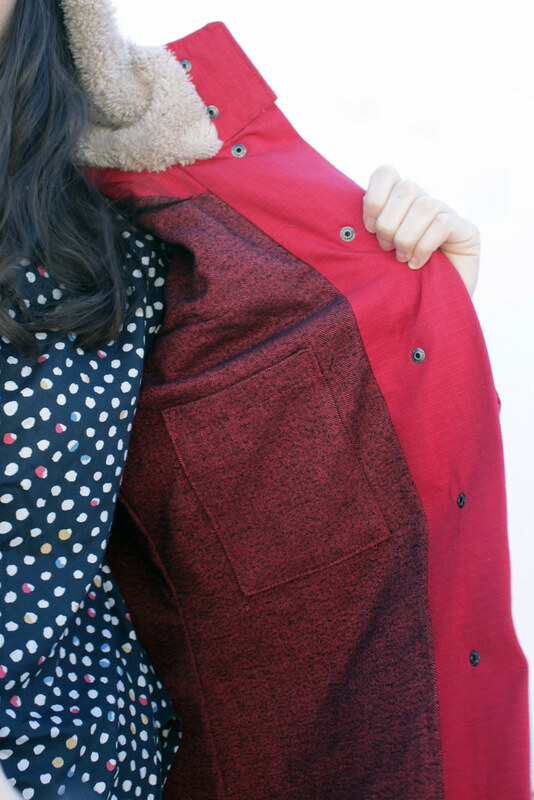 Unless you want stitching to show, this is the only area where you can secure the facing – it does want to flop out, even though it is under-stitched and attached at the neckline. You know what – scratch all that – just fully line the hood and be done with it. In the end I think it’s worth all the head scratching and work. 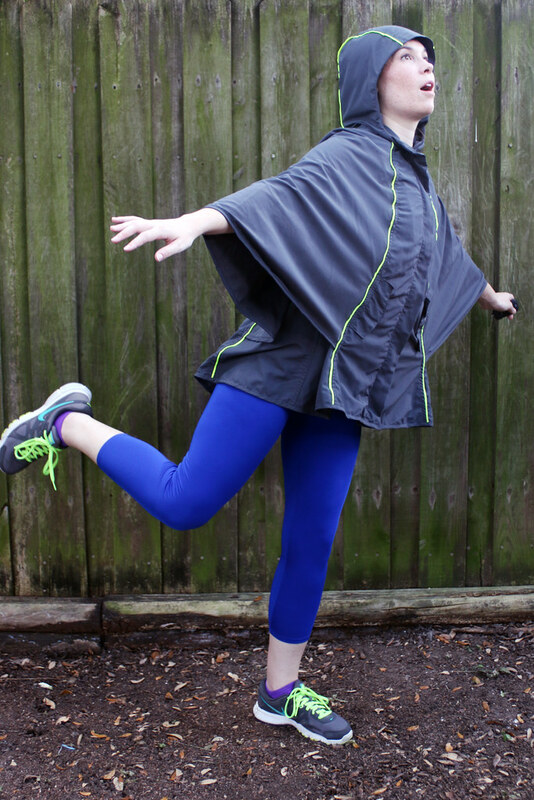 Plus, what other item of handmade clothing is going to make you feel like a flying squirrel?!? 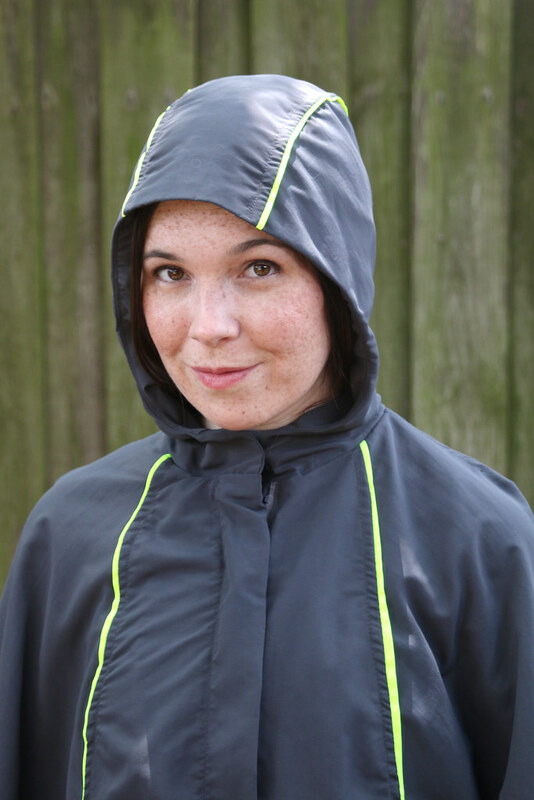 While it doesn’t rain much here in Texas I plan to use this garment on future hiking trips to more rainy locales. It’s a piece I can keep in my wardrobe for many years – the kind of thing I’ll be glad I have when I really need it. 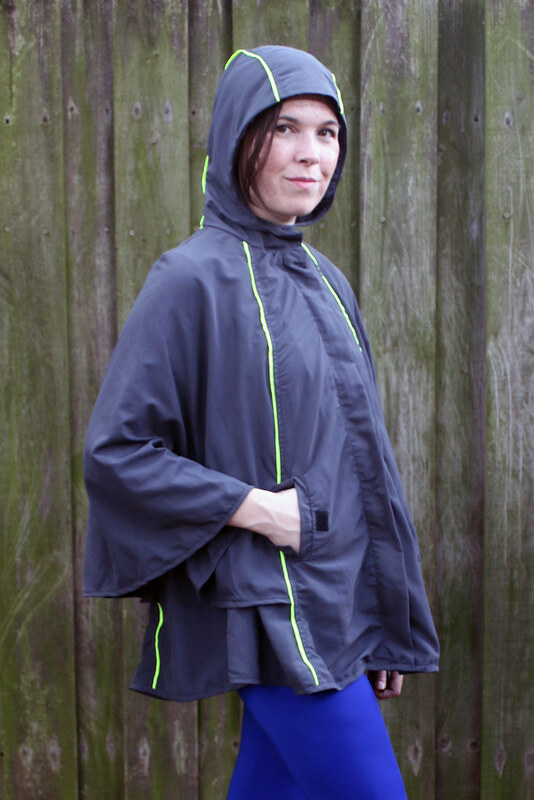 That makes all the sewing struggle worth it and I’ll rarely ever find an off-the-rack rain poncho as stylish as this.